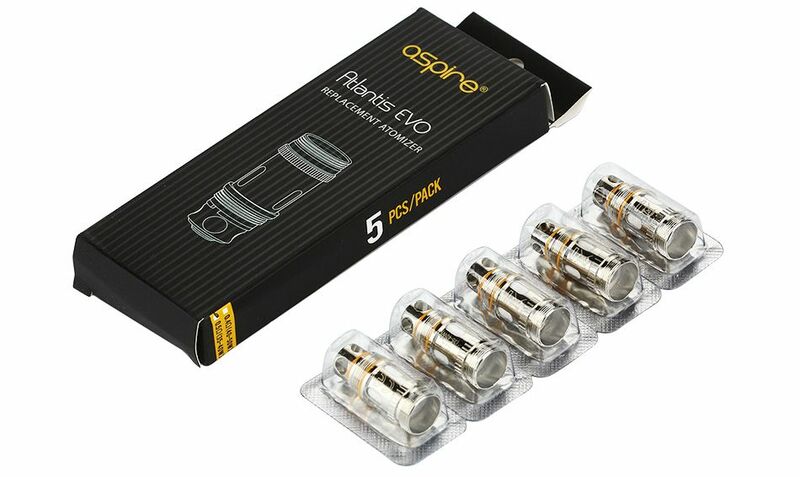 The Aspire Atlantis EVO Atomizer Coils are authentic Aspire brand replacement atomizers for use with the Atlantis EVO, Atlantis or Triton sub ohm tanks. These coils feature a clapton style coil configuration for maximum vapor production and an organic Japanese cotton wick for these cleanest flavor quality available. Available in two different resistance options, the EVO coils each provide a different sensation. The 0.4 ohm coil (40W-50W) option feature an enhanced airflow in order to create higher amounts of vapor while the 0.5 ohm atomizer (35W-40W) offers a greater quality of flavor. Having more than one type of coil is often necessary as each will perform differently with different types of liquids, pick up both to ensure you are getting the absolute most out of your liquids.